It’s a bit hard to do a review on a book that felt weird from the beginning. First I had to get used to the writing style, which is told through the eyes of a troubled child. Second I had to sort through what was imaginary and what wasn’t, which became harder and harder as the book went on. I’m not all too sure what specific genre this book is intended for, but I wouldn’t say it’s for children; it’s not all that exciting, it’s a bit confusing and some of the subject matter probably isn’t appropriate for children. I give this book three stars because the ending did interest me, and some of Tommy/Kenny’s insights were quite philosophical. I understand what part of the message was– that some grown-ups as seen through a child’s eye, really are as evil as the child thinks– but the choppy plot, and the whole Samurai thing, sort of complicated the understanding. In all, I wasn’t too hooked on the plot, nor was I ever really sure where it was leading to. I found the ending interesting, but that’s about it. 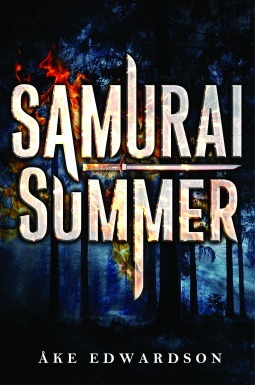 I wouldn’t be too sure who I could recommend this book to, because I’m not too sure they’d find the book interesting or understand the complete meaning of Samurai Summer.